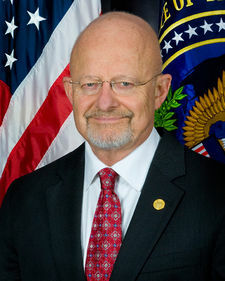 The Director of National Intelligence (DNI), retired Air Force Lieutenant General James Clapper, is responsible to the President for all national security intelligence. Today, LtGen Clapper testified before a Congressional committee, "The term 'Muslim Brotherhood' ... is an umbrella term for a variety of movements, in the case of Egypt, a very heterogeneous group, largely secular, which has eschewed violence and has decried Al Qaeda as a perversion of Islam." The first thing that jumped out at me when I read LtGen Clapper's statement was the obvious oxymoron, that an organization called "Muslim Brotherhood" could be or would be secular. I checked my dictionary to confirm that I actually did know what "secular" meant, and I did: "not concerned with or related to religion." As I was shaking my head about how the DNI could seriously consider the Muslim Brotherhood to be secular, an official in the DNI's office "clarified" the DNI's statement: "To clarify Director Clapper's point, in Egypt the Muslim Brotherhood makes efforts to work through a political system that has been, under Mubarak's rule, one that is largely secular in its orientation. He is well aware that the Muslim Brotherhood is not a secular organization." Well, maybe he's aware of it and maybe he's not. It doesn't matter. What matters is the narrative he's pushing about an organization that's a serious threat in the Middle East. There is quite a lot of misinformation out there about the Muslim Brotherhood and there is also quite a lot of disinformation out there. The Muslim Brotherhood is not only not a secular movement, it's not some harmless political party either. One of the most prominent lines making the rounds right now is that the Muslim Brotherhood has been secular and purely political in Egypt for the past 2 or 3 decades. Well, the Muslim Brotherhood has been outlawed in Egypt for the past 30 years. Of course, it's been largely political over the past three decades!